The rRNA genes of mouse and human encode the three major RNAs of the ribosome and as such are essential for growth and development. These genes are present in high copy numbers and arranged as direct repeats at the Nucleolar Organizer Regions on multiple chromosomes. Not all the rRNA genes are transcriptionally active, but the molecular mechanisms that determine activity are complex and still poorly understood. 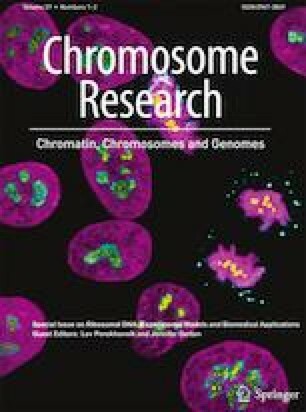 Recent studies applying a novel Deconvolution Chromatin Immunoprecipitation (DChIP-Seq) technique in conjunction with conditional gene inactivation provide new insights into the structure of the active rRNA genes and question previous assumptions on the role of chromatin and histone modifications. We suggest an alternative model for the active rRNA gene chromatin and discuss how this structure is determined and maintained. TM conceived the study and wrote the manuscript, J-CM and MGT performed experimental research, and MS-F analyzed the data from ChIP-Seq. All authors read and approved the manuscript. This work was funded by operating grants from the Canadian Institutes of Health Research (CIHR, MOP12205/PJT153266) and the National Science and Engineering Council (NSERC) of Canada. The Research Centre of the Québec University Hospital Centre (CHU de Québec) is supported by the Fonds de Recherche du Québec—Santé (FRQS).